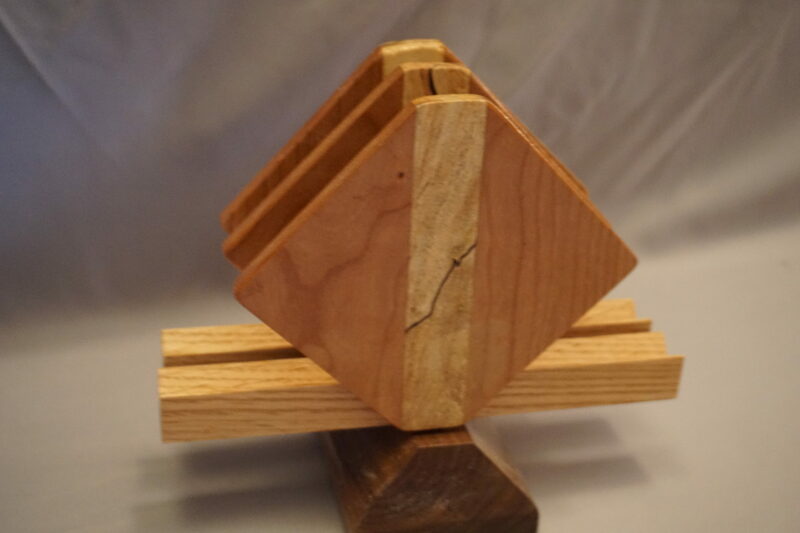 Unique shaped napkin holder made from cherry, inlaid with spalted maple. The base is walnut and the holders for the napkins are ash. A clear finish is used to highlight the woods.